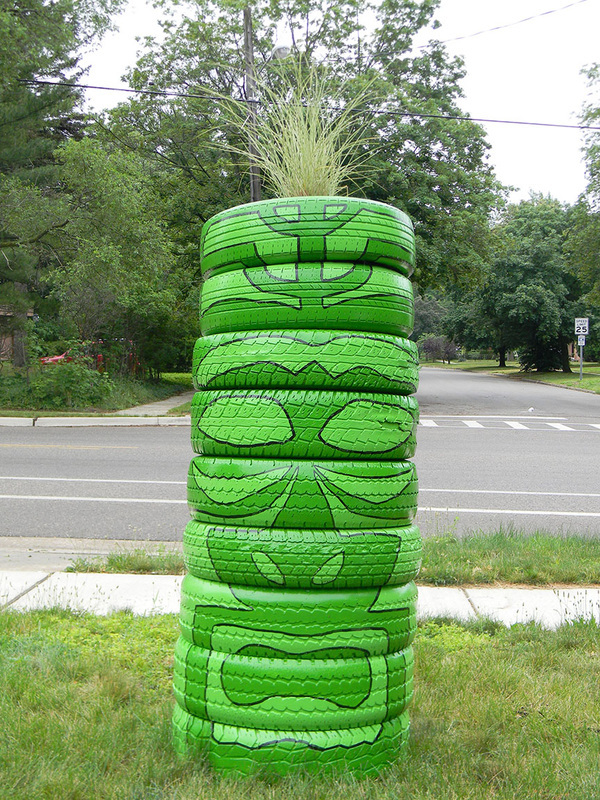 An ArtSensical totem created with a stack of tires that were then painted to resemble faces found in the Polynesian cultures of the Pacific Ocean. One side features an Easter Island moai, one of the 887 monumental statues created by the early Rapa Nui people. On the other side a tiki face is featured. In the Maori language, "tiki" are large wooden carvings that resemble humans. They were often used to mark boundaries of sacred or significant sites. 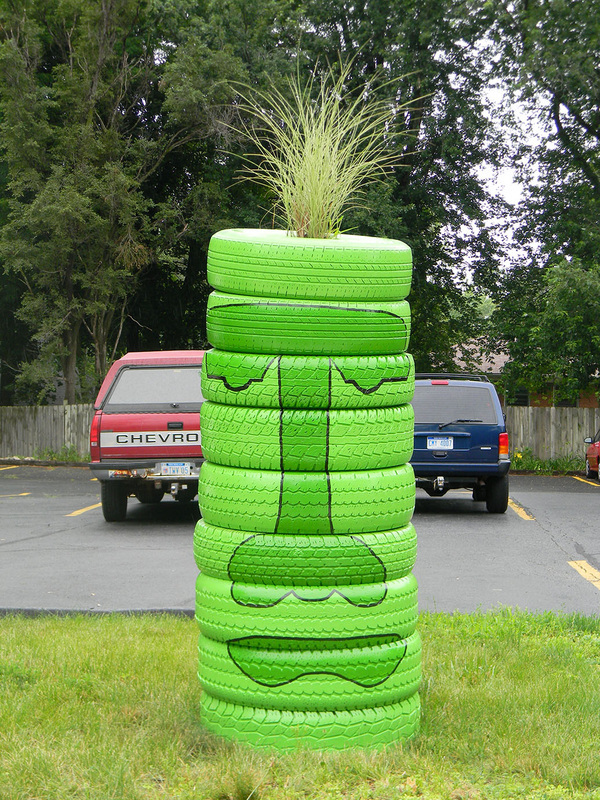 To that end, this tiki is situated in front of the Battle Creek Art Center, a significant site in the Battle Creek area for art and art-related events and happenings. Please stop by when you next travel down Emmett Street to admire the totem, and then check out the current exhibit at the art center. Dimensions: 3 feet wide by 9 feet high.